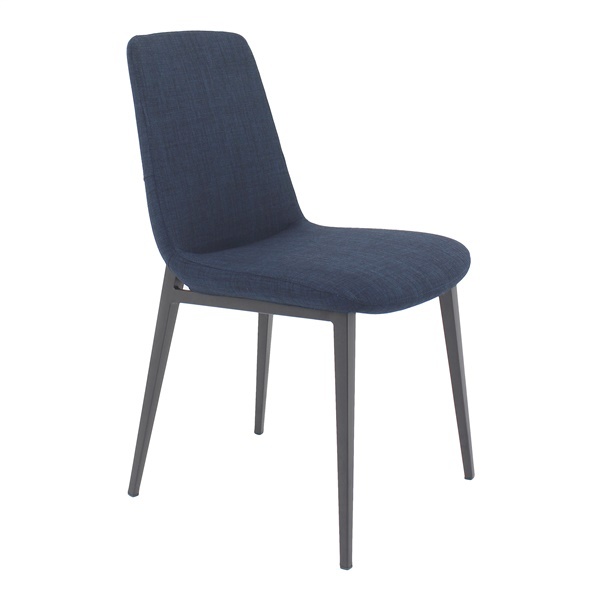 Sit down to eat in style with the slender yet stable silhouette of the Kito Dining Chair by Moe’s Home! Versatile seating that brings a mid-century modern take to the contemporary table, Kito features sleek steel legs supporting a lean seat that is both gently contoured and generously cushioned to combine classic comfort with contemporary character. Moe’s Kito Dining Chair is expertly upholstered in your choice of lush hues of textural and durable polyester fabric. Simple yet sophisticated style for the contemporary or retro-inspired area. Sleek yet stable steel legs. Comfortably cushioned with injection foam. Lush and durable upholstery of 100% polyester.